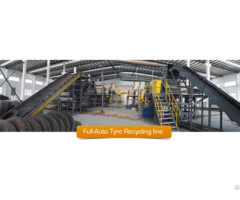 Tyre Pyrolysis Plant(Zhengyang Machinery：ｗｗｗ．� ��ｉｒｅｒｅｃｙ� �ｌｅｍａｃｈｉｎ ｅ．ｃｏｍ)--- By using the latest pyrolysis technology, this pyrolysis plant is developed by our company to refine oil from waste tires, waste rubber, waste plastic, acrylic and other organic solid wastes. 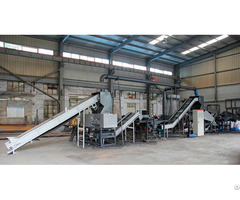 Presently, our company has owned a series of leading patented technology in the country, possessing completely independent intellectual property rights and proprietary technology in several projects, such as wet grinding technique used in processing coarse carbon black, continuous pyrolysis plant for waste plastics, automatic microwave pyrolysis reaction device for processing waste rubber, horizontally continuous distillation and carbonization of oil shale, as well as other items, which solved those common problems such as air-lock feeding, the corrosive action of sulfide and chloride on the equipment, the blocking-up for the pipe of the back part of the equipment, the stability and balance between the micro negative-pressure and thermal pyrolysis, etc. 45% tire oil, 35% carbon black; 12-15% steel wire; 5-8%. 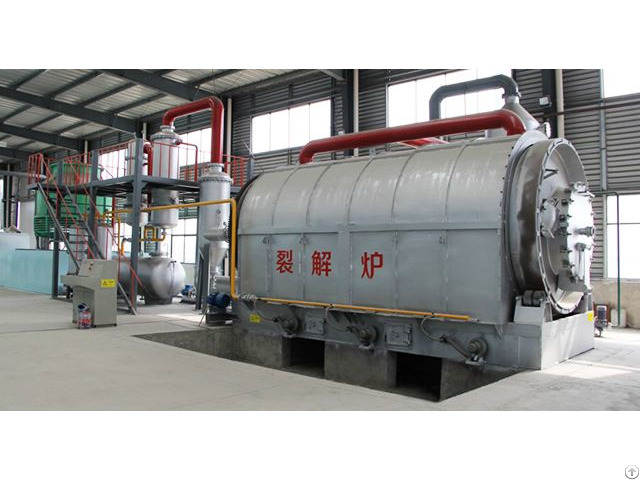 Tire oil is also called fuel oil, can be directly sold (they are also used for processing or used for boiler combustion, bath center, restaurants, burning fuels such as floor brick) or deep processing into organic solvent with refining equipment and automotive fuel, etc. 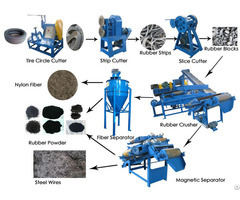 Carbon black can be directly as a fuel sales, also can use carbon black refining processing equipment, this equipment has two kinds of models, a kind of model can be processed to 300-1000 purpose, end products can do tire rubber or filling material, a kind of model can be processed to 1000-2500 purpose, end products can do industrial carbon black, printing ink, etc. Plastic oil, fuel oil, also called direct sales or used as fuel. Plastic quality of carbon black a little almost used as fuel.